I have read and listened to a never-ending stream of concerns about the shortage of cooks and each operations unique perspective on the reasons for this significant concern. Thoughts range from culinary schools not doing their job, to the continued increase in the number of food businesses, meager pay and benefits, to the millennia generation and the perception that they are just not willing to work that hard. There is probably some slice of truth to all of these concerns, but understanding them is not likely as simple as pointing the finger in one direction. Having listened to and collected these thoughts over the past few months I have pulled together my own theory, one that I hope is worth considering. The reality is that the issue is simply an inevitable challenge that has been building up for the past three or four decades. So, bear with me while I build my case. The fix for this problem is that we must understand that change falls on the shoulders of all stakeholders in the food business. If we “the larger food industry” are to create a long term fix that will allow the restaurant segment to continue growing and serving a more discriminating audience, then I feel it is time for everyone to stop pointing a finger at others and start looking in the mirror. *This is the same dilemma that our country faces as some parents assume that the responsibility for raising good citizens falls primarily on the shoulders of the school system rather than good parenting. Cooks are made in the trenches – working on the line, facing the pressure of time and quality each and every day in the kitchen. College programs build the foundation, but transitioning from being a person who understands to one who is able to perform must involve the restaurant and the chef. It is time for restaurants to play a much more active, collaborative role in the training process. 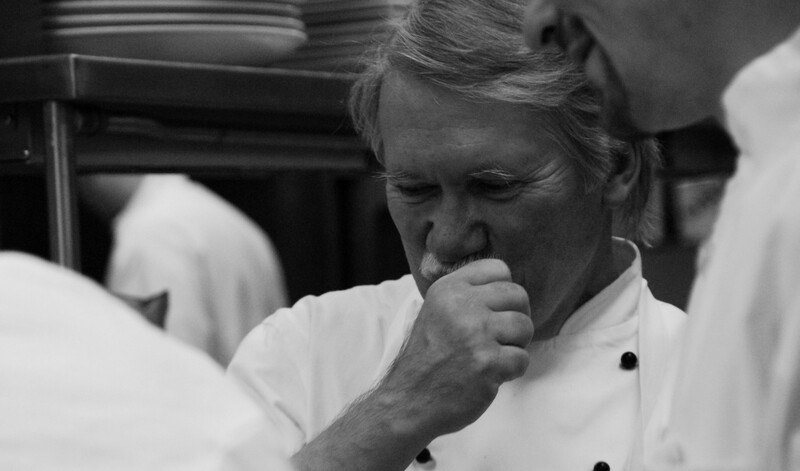 *Restaurants and chefs must learn to trust that the opinions of their cooks and service staff have merit. Attracting passionate, competent employees begins with the creation of an environment of respect and a workplace where leadership listens to the observation of those who keep the engine running. *Cooks like to know what is going on, what the plans for the future might be, how the business is performing and how they might contribute to success. Share what is going on, make them a part of the solution to problems. When they know that they can be engaged, they will more often than not – rise to the occasion. There are countless examples of businesses that have reaped the benefits of this approach. *Consider that most people want to do a great job. There is tremendous satisfaction gained from pushing your cooks to excel. You may very well be impressed with their desire to be exceptional and produce exceptional food. Never accept mediocrity, expect excellence and hold each employee to that standard. At some point they will learn to accept nothing less than the best performance from themselves and others. This is a case where “Tough love” rings true. 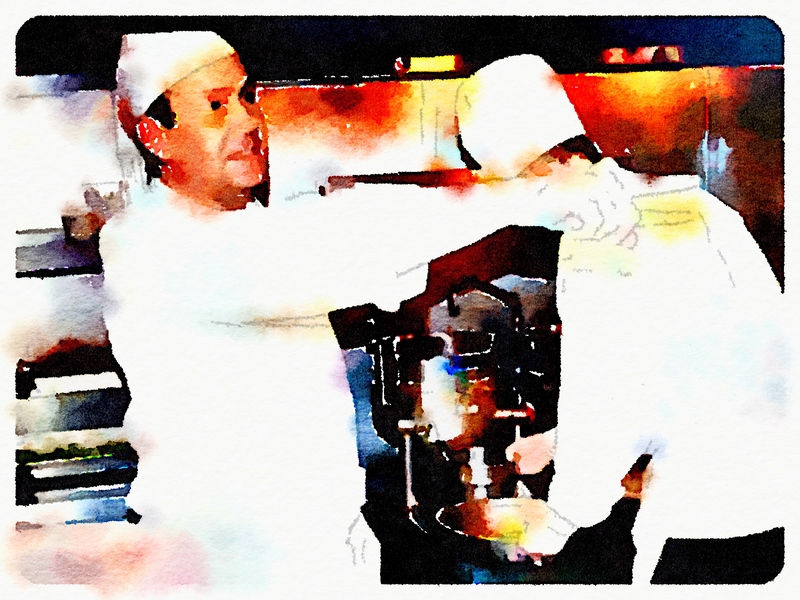 *When chefs and operators live the standards that they expect of others, the staff will be more inclined to follow the lead. *This is just an old rule of thumb that unfortunately has eluded many chefs. Embarrassing or demeaning your cooks in the public eye never leads to good results and this type of approach towards staff will build a reputation for the restaurant that turns future employees away. When correction needs to happen it should take place in private with directions pertaining to how that employee might improve in the future. When an employee shines, the opposite is true. Make sure that everyone understands how positive the chef or manager feels about great performance or behavior. *This is an area that we can no longer avoid or excuse. Defining not only a fair wage, but how much would allow an employee to stress less about his or her ability to pay bills, what benefits fall under the heading of reasonable (co-pay health care, some sick time and personal days, the opportunity to buy in to some type of retirement plan, etc. ), a reasonable work week with ample time to deal with life, and a schedule that can be anticipated – allowing the cook to plan out the balance of his or her life, is not an unreasonable thing to expect. There is no question that this is challenging for an industry that realizes such a small percentage profit, but it must be addressed nevertheless. *Frustration over an inability to complete tasks because the necessary tools are unavailable can and does drive people away from a particular restaurant. Tools can go beyond equipment and may include solid leadership, great communication, process and procedure, standards of operation and the like. These are not little issues; they are defining ones for many. *People, in general, enjoy working for a company that is well-run, one that they can be truly proud of. Helping this process along with thorough hiring practices, solid orientation and training, and celebration of team success will go a long way toward developing the reputation of a restaurant to work for. *Back to culinary schools – the days of requiring sizeable debt for an education that does not initially yield sufficient pay to compensate for this debt are quickly coming to an end. Just as restaurants need to step up and play a more active role in training the next generation of cooks and chefs, so too must schools re-examine their program requirements, curriculum content, method of delivery, and cost structure to allow investment in an education to make sense. *There will always be a need for, and value from the “Yes Chef” environment of the kitchen. It is, after all, the conductor of the orchestra that keeps the music flowing. However, giving the cook a bit more control over his or her environment and providing the opportunity for that same employee to make decisions in the best interest of the guest and the business will certainly strengthen the commitment to the operation and serve as a magnet for attracting the best of the best employees. *When a cook succeeds and builds his or her brand, the restaurant reaps the short-term and long-term benefits. When a chef recognizes talent and potential in a cook, it is imperative that a path for on-going success be paved, even if that means that the cook will eventually move on to another employer. This investment in others will help the restaurant along a path that attracts others to fill the void of cooks who move on. Our industry will never fix the labor problem until we invest in long-term solutions. This is not an individual restaurant problem it is a systemic issue that will require understanding and consensus to fix.